For hundreds of years, perhaps longer, Ethiopian Jews were known by their neighbours as Falashas, a pejorative term meaning “landless” or “wanderer” that made them out to be perpetual outsiders in the east African country, even though Jews have resided there for millennia. Facing discrimination, some converted to Christianity. Others did not and from the late 1970s through to the ’90s, the community was brought to Israel in several airlifts, including Operation Moses and Operation Solomon. The Christian converts, known as Falash Mura, were brought to Israel later, although several thousand still remain in the capital, Addis Ababa, waiting to join their relatives in the Promised Land. A third group of Jews, known as Bal Ej, or craftsmen, remained hidden, practicing their religion in secret, while outwardly presenting themselves as Christians. There are probably only a few thousand of them, though no one knows for sure. 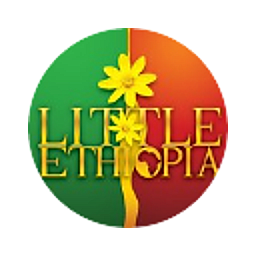 Many of them live in remote mountain villages near Addis Ababa, in an area known as North Shewa, and others reside in a poor neighbourhood in the capital called Kechene. A small number, around 20 to 30, have eschewed Christianity entirely and openly practice their unique brand of Judaism in a synagogue in Kechene. Their unusual story is told in the documentary, Bal Ej: The Hidden Jews of Ethiopia, by Irene Orleansky. Bal Ej will be screened on June 21 at the Borochov Cultural Centre in Toronto, in an event sponsored by Kulanu Canada, an organization that draws attention to isolated and emerging Jewish communities around the world and raises funds to help connect them with their Jewish past and the wider Jewish community. Orleansky will address viewers through Skype from her home in Israel. Speaking to The CJN by telephone, Orleansky said the film project was four years in the making. A musician and filmmaker, Orleansky said she began the project as part of an effort to record the musical traditions of Jews in Africa, India and China. The Bal Ej share a lot of the characteristics of other crypto, or hidden, Jews, throughout history, she said. Like the Conversos of Spain, they were persecuted and forced to adopt Christianity. But they secretly practiced their own unique pre-exilic brand of Judaism, she said. Ethiopian Jews, including the Bal Ej, are believed to have left ancient Israel after the destruction of the First Temple. As a result, their Judaism does not include the Talmud, nor do they celebrate post-exile holidays like Purim or Hanukkah. They observe Shabbat very strictly, avoiding work entirely, while spending the day eating and praying. They also observe niddah, the separation of women during menstruation. And singing is an important part of their prayer rituals. In past centuries, the community relied on priests to perform functions that rabbis do in other Jewish communities. The priests, in turn, were trained by monks, who live in seclusion and are dedicated to studying Jewish tradition. The monks also keep secret synagogues, where the older members of the community gather to pray. “Younger people visit secret synagogues for holidays and special events, such as a memorial day, but they are not provided with any explanations about what these holidays and ceremonies mean. They also do not understand the prayers, because they are in Ge’ez, the ancient liturgical language, or in Quaregna, the language of the Quara region,” Orleansky said. In recent years, younger people have established their own synagogue in Kechene, where they worship openly and are adopting normative Jewish practices, she said. Like other Ethiopian Jews, they resided in the Gondar region of the country, north of Lake Tana, but over the past fewhundred years, they migrated south, first to North Shewa and then to Kechene. Despite adopting Christianity, at least outwardly, they remained the subject of persecution. They couldn’t own land and were consigned to be craftsmen, working in pottery, weaving and iron smithery. They are still known by their Christian neighbours as “hyena people” and Orleansky saw their neighbours averting their gaze from the Bal Ej, lest they tempt the evil eye. To her, that raised an interesting question, one that the Bal Ej could not adequately explain: if their neighbours still consider them to be Jewish and treat them with contempt, what’s the point of retaining the outward appearance of being Christian? Orleansky, who immigrated to Israel from the Soviet Union, suggested it might be the lingering effects of suffering from persecution. It’s a vestige of the old days and they can’t get over it, she speculated. Orleansky said the elders who maintain the community’s secret synagogues are quite poor. They “live in remote areas deep in the mountains that are really difficult to reach. They live mostly from modest donations from the young people in Kechene, from selling their crafts and from growing some vegetables on small plots of land between rocks in the mountains. They grind barley and corn by stone to make bread, which they eat one slice per day with vegetables and water. They eat three times per day only on Sabbath and during holidays,” Orleansky said.